International awards winner for Best Feature Documentary Linda Aïnouche for “Dreadlocks Story” (2014), which shows how Indians are entangled in the Jamaican society, and how Hinduism was a source of inspiration for the Rastafari movement, is all set to release her new documentary, “Marooned in the Caribbean”, which aims at documenting the awful desolating living conditions that Raizal people, the native inhabitants of San Andres Archipelago, endure. Nobody escapes from blood and thunder in Colombia, and definitely not in the archipelago of San Andres, situated closer to Managua and Kingston than Bogota. The Raizal people are excruciatingly persecuted by their government, are martyred for their lack of visibility; they unintendedly become the victims of neglect. In recent months, I went several times to San Andres to meet the islanders for recording their voices smitten by the depths of despair and tears. Going back and forth on a scooter, a small camera on my backpack, to meet one Raizal person after another, I have tried to capture the oppressive and harsh slices of life, full of pangs and emotions, their voice, their vision, and their struggle for existence. As an anthropologist and an explorer of remote areas of the world, I have tried to exhibit how the Raizal of San Andres cry for their pain, fearing disappearance. It’s a violation of their human rights, loss of their culture and territory, and the unfairness they are subjected to in name of geopolitical and political strategies. Their abandoned and isolated Caribbean islands to the rest of the world hold the worst of a bunch of miseries (drug, trafficking, gun smuggling, prostitution, robbery, bribery, kidnapping, repression), where, inexorably, police are thieves in the streets. “Marooned in the Caribbean” seeks to capture this reality of the Raizal people, who are fiercely mistreated, whilst their islander identity is ceaselessly getting perishing. The San Andres archipelago is inhabited since the 16th century, although it barely exists on geographical maps. Is it because it looks too tiny to be shown, or is it willingly hidden for concerning affairs? 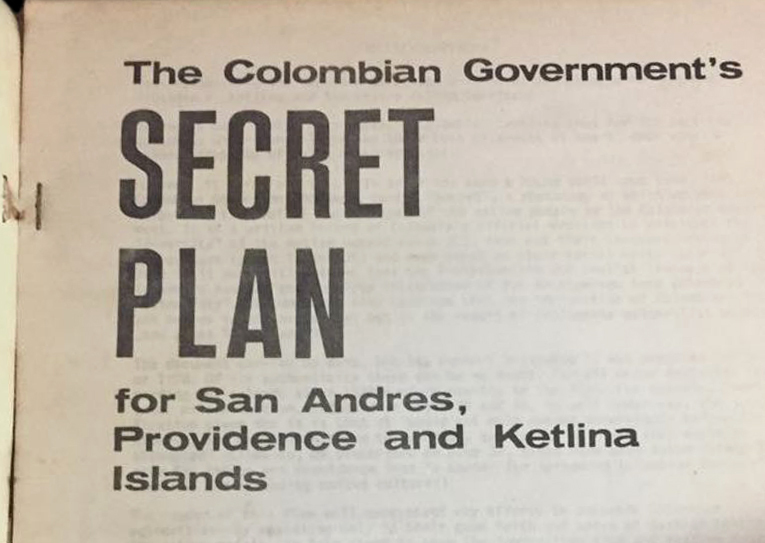 In the mid-1960, the Colombian government initiated a Secret Plan – so it is called – for the archipelago, which has ultimately come to be effectively implemented. The intention was to reduce the Raizal people, their culture, their territory, their rights and identity to nothingness. 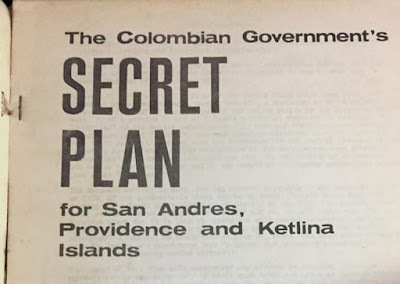 One of the worst aftereffects of this is, within a couple of decades, the archipelago has become a lucrative touristic destination for the State of Colombia, whilst the Raizal people continue to be abjectly forsaken and dispossessed by their government. As a result, they have today become a minority on their own land. On November 19, 2012, the Raizal lost a good amount of their territory in the sea, which has been bequeathed to Nicaragua in the aftermath of a trial at the International Court of Justice in The Hague, and one of the justifications for doing it was that the archipelago was uninhabited. The question is, why did the Colombian government allow this? Today, while living on the island, the sea and the soil, the Raizal are fighting a losing battle to preserve their territory. In 2000, UNESCO declared the San Andrés archipelago a Seaflower biosphere reserve in order to help protect its ecosystems from overexploitation and other direct threats. And yet, nowadays, the coral reef has been fully destroyed, the massive garbage in the sea from tourism is uncontrollable, and coupled with overpopulation on the islands, global warming continues to cause irremediable damages to the environment. Documenting the reality of the Raizal and efforts to dehumanize them in the mainstream Colombia is, in a way, continuation of the theme pursued in the “Dreadlocks Story”, which concerned how Indian settlers live in Jamaica. “Marooned in the Caribbean”, like “Deadlocks Story”, tells the story of how social justice is denied in the Caribbean. “Dreadlocks Story” covered a large period of time under the British Colonial era, which ended up in the middle of the 20th century, in 1947 for India, and in 1962 for Jamaica, whereas “Marooned in the Caribbean” compiles the present – hidden – colonial treatment that the Colombian government imposes on the Colombian fellow citizens on their territory. Although Rastas were persecuted, the Rastafari movement emerged in Jamaica, initiated by Leonard Percival Howell, the founding father of the Rastafari. Howell published his prominent teaching in 1930s under a complication of texts signed by the nickname Gangun Guru Maragh. People could not pronounce this name, so they have shorted it in Gong. The 'First Rasta' is the facto another title given to Howell who was the first man who spoke Rastafari in the island of Jamaica. Now, the Rastas are being progressively accepted in Jamaica, as well as in the Caribbean basin; they are, in fact, present all over the globe today. The system of indenture labour system that enslaved Indians came to an end in 1921, although the last boat arrived in Jamaica in 1917. The indentured labour system – put in place in the aftermath of the Atlantic slavery to replace the emancipated African slaves with the indentured Indians on colonial plantations overseas -- came under widespread attack in the early decades of the 20th century. MK Gandhi’s involvement in the movement for the abolition of indenture, following the abolition of the Atlantic slavery, has been called the “second abolition”. It helped launch his political career in India. Yet, ironically, the campaign against indenture occupies an obscure and undigested role in the scholarship on Gandhi and modern India. The Colombian government exercises violation of human rights on its population at a time it is internationally claiming to participate in a national peace agreement. This is unfolding when the Raizal people are reduced to being bullied, are forced to deal with smugglers, which is hanging like a Damocles’ sword hanging over their head. 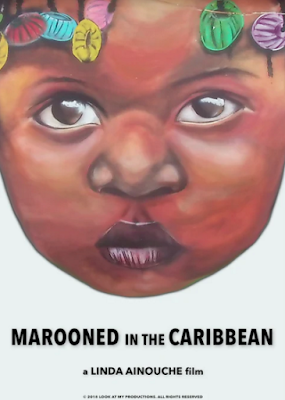 “Marooned in the Caribbean” seeks to remind one that the Raizal people are not just images and numbers, but individuals with families, friends, and lived stories of loss, hope and anxiety. It follows some of the themes developed in “Dreadlocks Story”, which became an excellent pedagogical tool for drawing parallels with the Indian indentureship system in the Caribbean, the fight of the Rastafari and the cultural, and the social process that emerged from the atrocious European imperialism. It articulated the trajectory of cultural, internal and external encounters, that prompt an ongoing articulation of the Rasta identity. 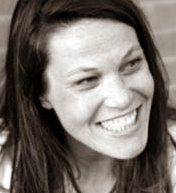 It was a successful and intriguing addition to the literature and visual discussions of this archetypal community. “Marooned in the Caribbean”, on the other hand, aims at representing the Raizal people as helpless victims in need of more attention, seeking to be turned into an effective, empathetic community of marooned people in the West Caribbean basin against the backdrop of oppressive violence of the administration.